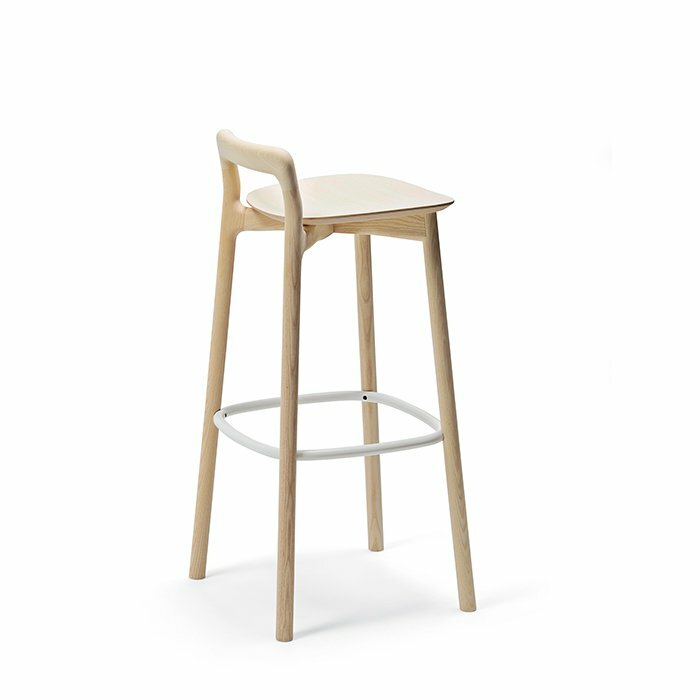 Introduced at the Milan furniture fair in April 2014, the Branca stool channels the natural beauty of trees. The gently curved seat is angled slightly higher in the front, which helps you feel balanced. The low back gives lumbar support. It’s available in natural, white, and black finishes and with a black or white footrest.